Dreamforce 2018 learnings and recap! This year’s Dreamforce was really the best Dreamforce ever! Marc Benioff said in the keynote that this year’s Dreamforce is about celebrating us, the Ohana. He was spot on. I’ve never really been a touchy feely kind of person, but, the Salesforce Ohana is real. That doesn’t mean there weren’t MASSIVE feature announcements. In fact, this year we saw the best new features announced since the Lightning release – in 2015! What words come to mind when you think about Marc Benioff? “Humble” probably isn’t one of them. 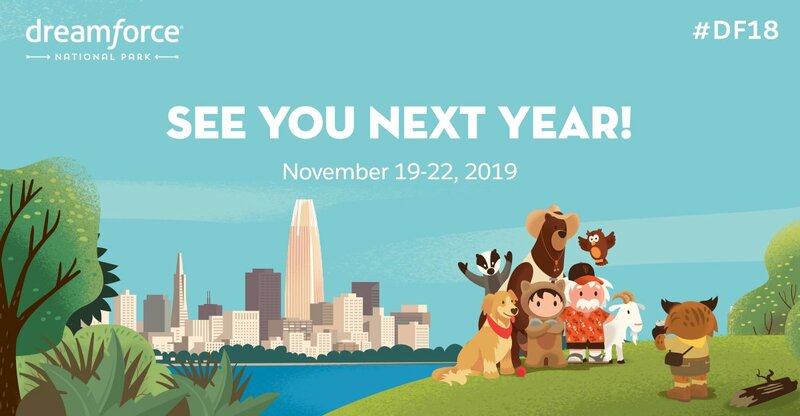 I certainly never thought so too – until this year’s Dreamforce. I had the opportunity, along with a few other Salesforce customers, to preview Marc’s keynote and provide him feedback… live and in person! YIKES! I was shocked that Marc actually gathered customers to critique his keynote. I was doubly shocked that he insisted on brutally honest feedback, even prodding for it. I was triply shocked that the entire executive team was present the entire time. And the most shocking thing of all? …He listened. He listened to everything. Most of our suggestions were implemented. 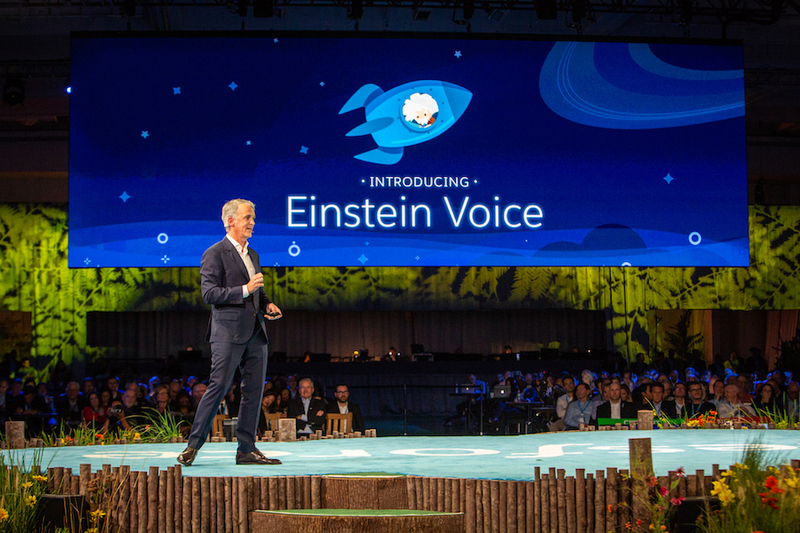 Einstein Voice is stupid easy: control Salesforce with your voice. The best part? It’s totally free! The second best part? You can customize it with triggers. I can’t wait to build my own dumb use case! 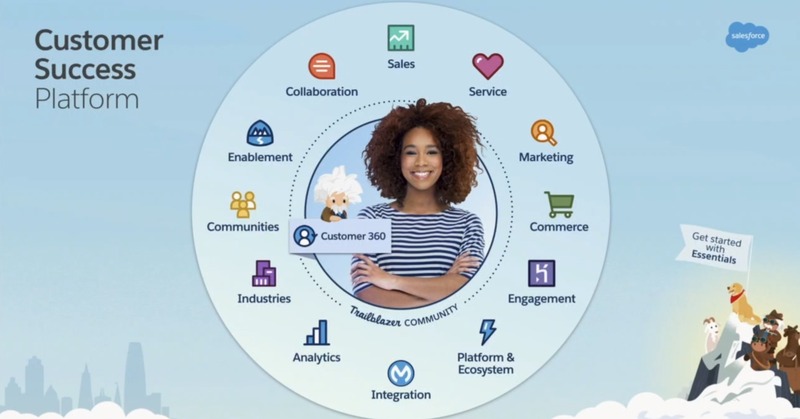 Remember when all the different Salesforce products fit into a single cloud picture? Those days are long gone. Now there are at least 12 different “clouds”. And if I’m to be truly honest with myself, I might have some knowledge in three of them. Nowadays, each of those clouds represent entire industries by themselves. You can spend an entire, fulfilling career exploring just one of them. How are we, as Salesforce system administrators, supposed to keep up with the entire ecosystem? Really, we can’t. Choose the portions of Salesforce that interest you most. Accept that you cannot do everything, and give everything to your particular areas of choice. The feeling of overwhelmingness is real. You are not alone. I know there are a lot of introverts out there who shy away from this Salesforce social media and community gatherings stuff. Believe me, you are doing yourself a disservice. Try for once, attending a Salesforce community gathering. 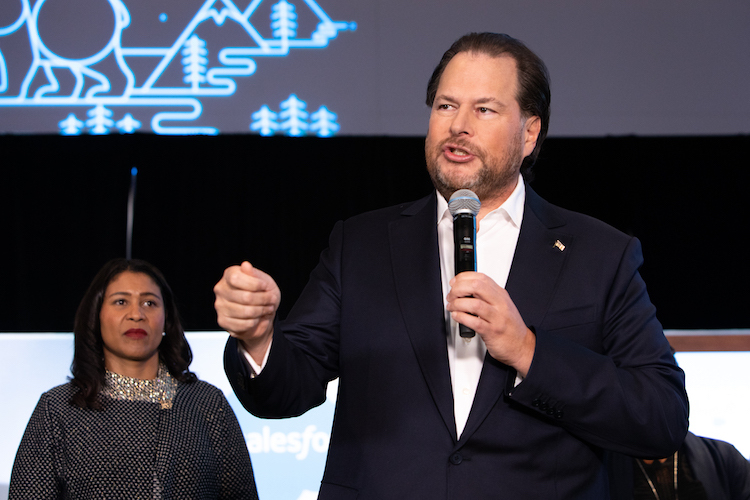 I’m talking about an Amplify, or a Vetforce, Salesforce Saturday, PepUp Tech, or Women in Tech event – there are lots of others! Witness as these groups literally change their member’s lives and bring people to tears. I personally watched Rachel Park, Salesforce admin and cancer survivor, tell her heartwarming Salesforce comeback story to hundreds of people at an Amplify event. There wasn’t a dry eye in the room. You aren’t supposed to be able to find a family for yourself in your career world. But we are so lucky to be in the Salesforce industry, with the most giving community members ever. Things won’t always be this good. So remember to enjoy it while it’s here! What the heck is Customer 360? I feel obligated to mention the Customer 360 feature since it was in the keynote. Honestly, I don’t know why it’s so hot. 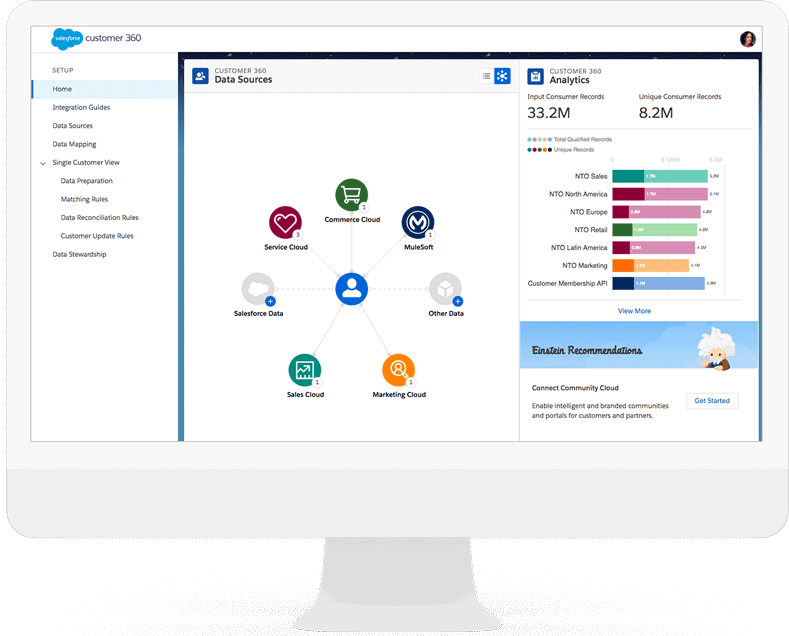 Salesforce says that Customer 360 assigns a special ID to every record that makes integration with all other products easier. Isn’t that just the record ID?! Salesforce also says that Customer 360 automatically dedupes and cleans your data. That’s actually pretty neat. I hope it works. The real benefit of Customer 360 comes when you use multiple Salesforce products together. 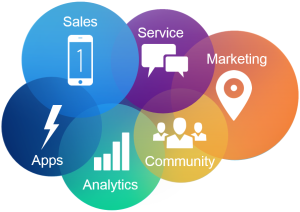 Think Sales, Commerce, and Marketing clouds at once. Customer 360 keeps them in sync without duplicating data. That’s great but I guess most orgs are gonna have to buy more products to use it! 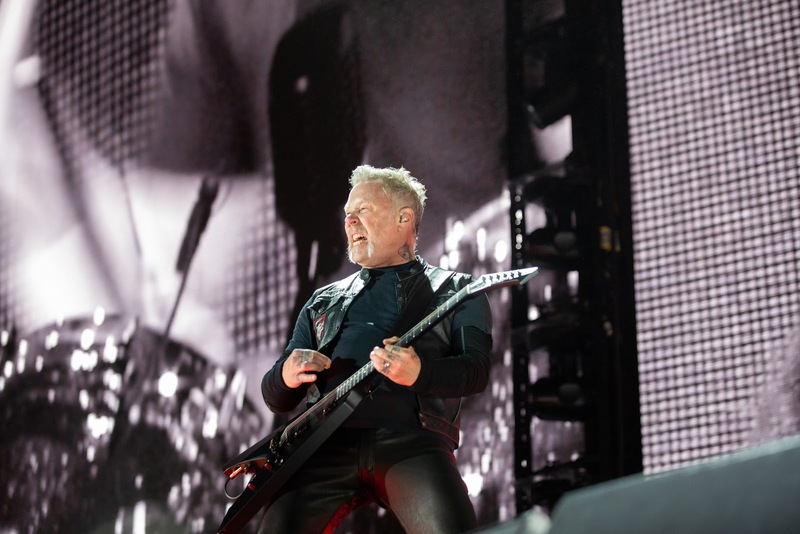 If you have to choose one Salesforce event to go to each year, Dreamforce is the one. Local Dreamin’ events and TrailheaDX are events you should absolutely attend, but nothing inspires your soul like Dreamforce does. This year I went to Dreamforce and it changed the course of my life. My life priorities shifted and I’d be going in a different direction had I not attended. This is how I know that Dreamforce is the best Salesforce event of them all. Looking back, many of my key life events happened at Dreamforce. Meeting Jason Venable. Meeting Dan Appleman. Emailing Marc Benioff. I am a better person because of Dreamforce. And hell, if it could happen to me, it could happen to you too. I await Dreamforce every year for all it has got. Probably the best Salesforce Event possible! We can denifately call it “Woodstock Festival” for Salesforce. Dreamforce will always be the top Salesforce Event! I read a similar article on Forcetalks regarding the highlights of the event and it got me great insights! Thanks for this thoughtful and useful post, David! Some of it was there for, some of it I missed, but either way, really appreciate your perspective. It was truly an AMAZING EVENT. I had so much fun and learning. I traveled alone from the east coast. And someone was asking me how I felt about going alone. If they only knew the ohana we have – it is more like a family reunion. I love your recap David. I also want to play with Einstien voice. I can totally relate and remember attending a Salesforce Tour in Washington Last year. This was the first time I had a mix of excitment and fear to attend a conference. It was so equivocal that at one point I considered turning around because I was still new to SF and out of a job BUT knew a bit about FORCE.COM through being a user and now studying for ADMIN. Somehow I did not feel like I could contribute with my recent acquired knowledge. However thanks to my love of the platform and some strange desire to excel, be better and attraction to be part of the OHANA. Armed with LOTS of courage I walked in, registered and spent time at the booths, educating myself and speaking to vendors and conference attendees. Thank you…Looking forward to a new life!!! 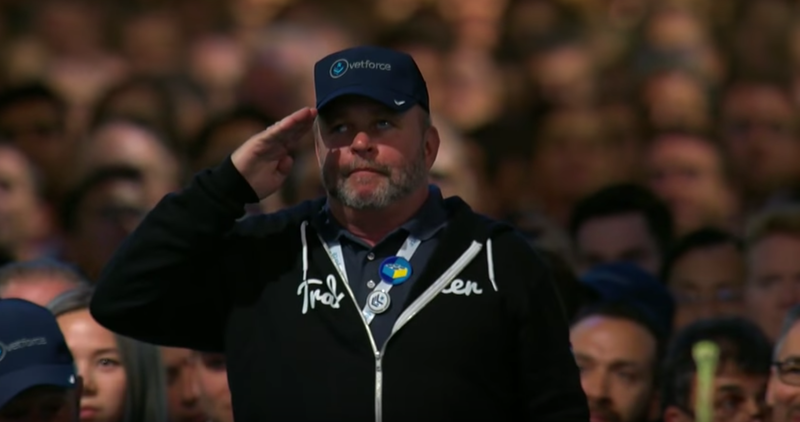 ” I am a better person because of Dreamforce.” – couldn’t agree more. It changes people forever, it changed me.